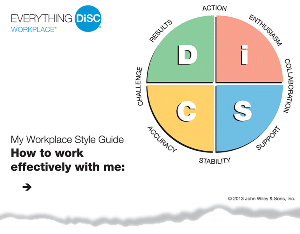 Section 1 of the Online DiSC® Classic 2.0 Online Profile is devoted to your unique behavioral style, and will introduce you to the DiSC Graph. 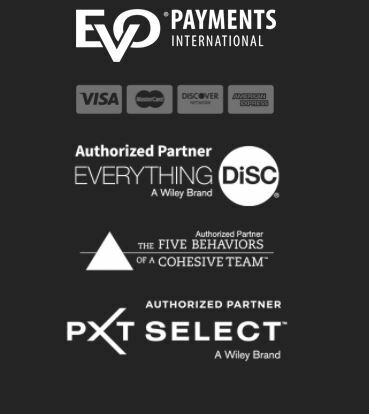 Stage 1 provides an in-depth, personalized narrative of your highest DiSC Dimension(s) of Behavior, which describes patterns of interpersonal preferences, behaviors, and emotional reactions. In Stage 2 you’ll explore your DiSC Intensity Index to become more aware of potential strengths and weaknesses. Your Motivation: A description of the basic incentives and personal goals that drive you to interact with other people the way you do. Also describes the patterns of behavior that result from your unique motivations. Your Work Habits: A description of your behavioral tendencies at work, including how you get things done, how you influence others, what goals are important to you, and what situations you avoid. 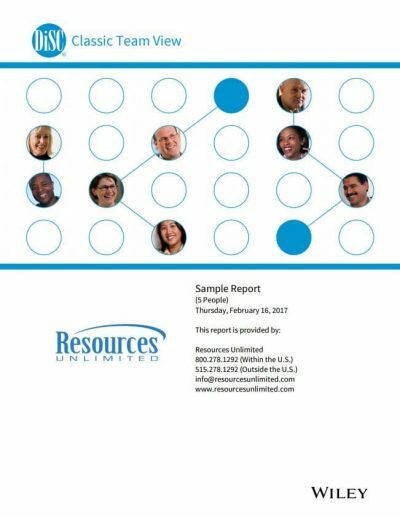 Insights for You: Tips for maximizing personal and interpersonal effectiveness. 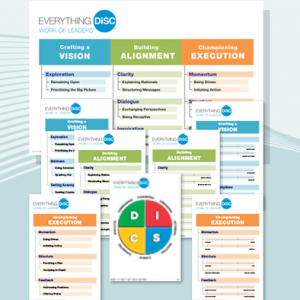 Section 2 covers the DiSC model and descriptions of the four DiSC Dimensions with corresponding tendencies, needs, preferred environments, and effectiveness strategies for each. Section 3 of the Online DiSC Profile overviews all 15 Classical Profile Patterns. These describe the patterns of emotions, thoughts, and behaviors associated with different interpersonal styles. 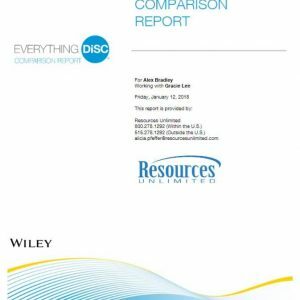 Section 4 provides the scoring and data analysis behind the DiSC profile – the technical information used to score your responses and generate your personalized DiSC Classic 2.0 Online Profile feedback.